Greasing wheel bearings isn’t the most enjoyable way to spend your free time. And getting them done once a year saves you from bigger bills later. Over time, grease breaks down. Heat produced by brakes speeds up the process. Since the trailer’s weight rides on the wheel bearings, keeping them well lubricated is critical for safe RVing and towing boats or camper trailers. 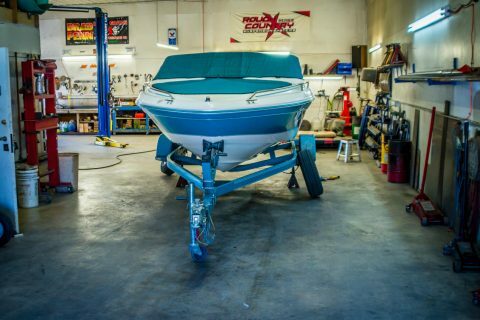 Murphy’s law dictates: If you get your Trailer Repair before you hear the dreaded squeal, the existing bearings will be fine. If not…. Regardless, grease seals should always be replaced. 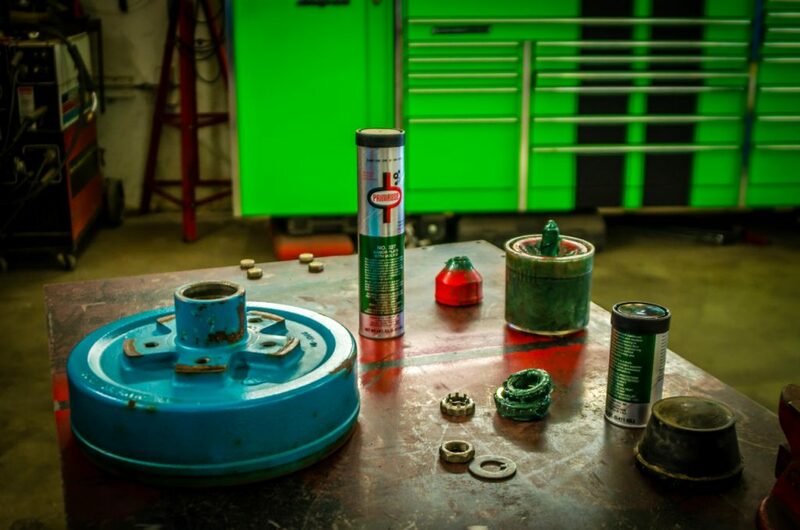 Bearings normally whine before they grind and ultimately fail. 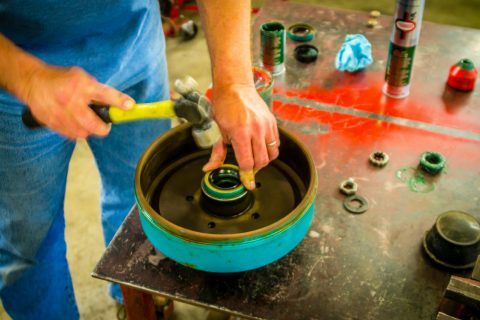 Unnatural sounds that vary depending on speed often indicate that the bearings need attention. It’s the proverbial squeaky wheel syndrome. 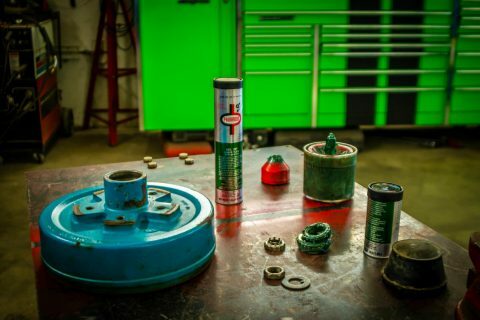 No parts are more critical for the dependable performance of your trailer than the bearings, races, and seals. To ensure that your trailer performs reliably, you should have your bearings, races, and seals inspected by a professional every 12 months or 12,000 miles, or at the end of every season. 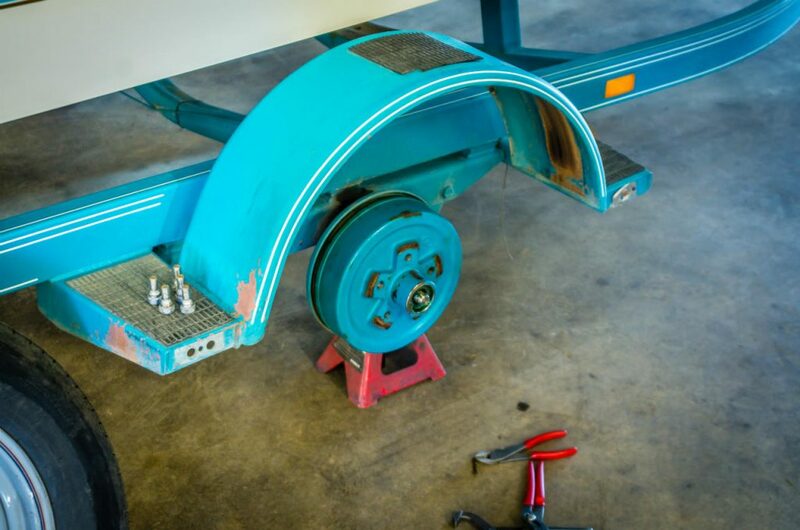 If you haven’t had a licensed professional inspect your trailer wheel hubs, contact us to schedule an appointment.